‘The World Is Not Going To Change Itself – That’s Up To You’, is the closing line on Prophets of Rage incendiary new record – Unfuck The World. With a video directed by the equally polarising Michael Moore, Prophets of Rage – Unfuck The World is a timely and vehement public address call to the biggest cancer of the 21st century, APATHY. A sentiment recently echoed in the Shame single we reviewed earlier this month ‘Tasteless‘. Yet despite all the rage, shouty vocals and swear words, does this type of music really change anything? In the year 2000 the global fear for the future was a millennium bug that would reset all our computers and send us back into the dark ages. Yet in truth as humanity lurched into the 21st century the threat to human progress was never man made but in actual fact – MAN. And when I say man I am of course referring to the entire human race. Since that landmark year it feels as though, like a runaway train thats breaks have failed, that the world has been careering unchecked towards inevitable disaster. In the 17 years since 2000 we’ve had the ill-fated and illegal Iraq war, the Twin Towers collapse, conflicts in Syria, Lebanon, Egypt, Afghanistan to name a few. The credit crunch, almost daily suicide bombings across the Middle East and Europe. The US pulling out of the Paris climate agreement. Brexit. The collapse of the Bangladesh clothing factory killing 1000’s and alerting the world to the greed of the fashion industry. Lance Armstrong. The homophobic inspired Orlando nightclub shooting. Systemic Russian funded Athlete doping. The rise of ISIS. FIFA and Sepp Blatter corruption charges, Volkswagon falsifying emissions tests, Qatar human rights violations and most recently in the UK, my home, the bombing of an Ariana Grande concert and the terrorist inspired stabbings in London just the other night. 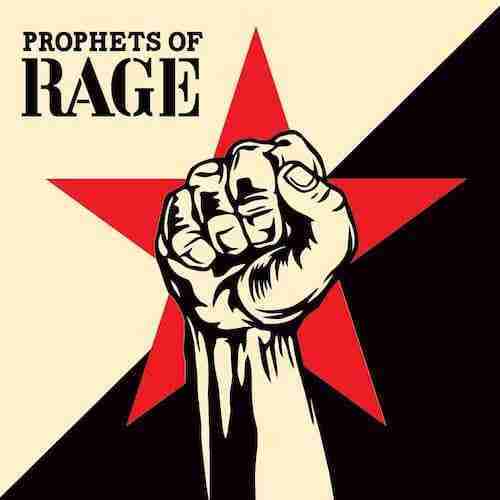 A list who’s grizzly content is bought to life in the visually arresting video for Prophets of Rage – Unfuck The World.